I created this recipe a couple of years ago for a website that has now removed the recipe. It is one of the recipes I am most proud of because the texture and flavour turned out so delicious. 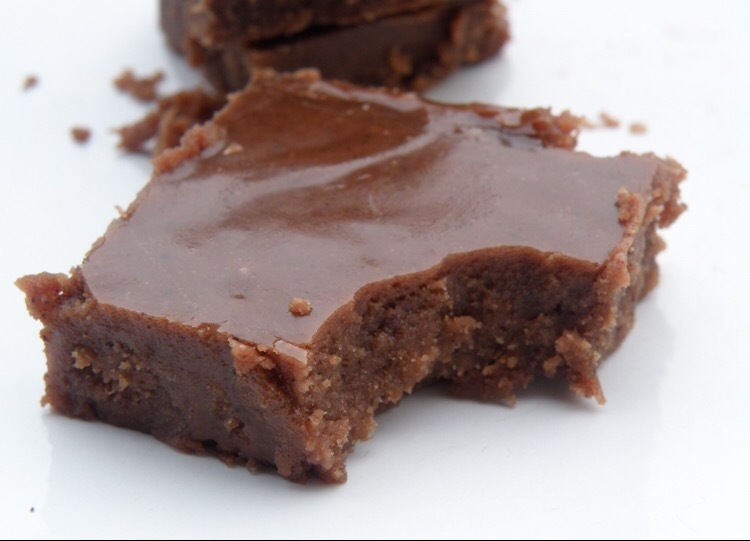 So I thought I would share here and get this recipe out there again for anyone looking for a dairy free fudge recipe. Enjoy! This is easier with a sugar thermometer, I do recommend them as they are cheap and make the job a lot easier. 1. 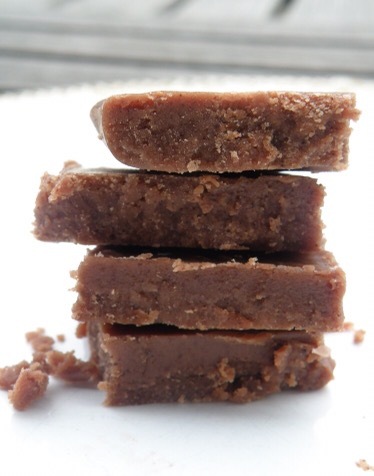 Prepare a small tin/tray with greaseproof paper ready to pour your fudge into. 2. Place the large pan over a medium low heat and gently stir until the sugar has dissolved. 3. Increase the heat and bring to the boil. Keep a close eye on the mixture and stir frequently but not constantly. Also watch the temperature you want it to reach 115c/240f on the thermometer. 5. Whisk the mixture for a few minutes until the chocolate lump has melted into the mixture and until it is thick, creamy and you can start to see signs that the fudge is setting around the edge of the pan. 6. Pour onto the prepared tin, a spatula is useful to get as much as possible out of the pan and leave to set before cutting into squares.